1 tenth of first-year ice including a trace of old ice except 9 tenths of first-year ice including a trace of old ice near parts of the mouth of Bonavista Bay and the mouth of Trinity Bay. Unusual presence of sea ice in the western section. The Atlantic ice extents show little retreat during May. Newfoundland coast on the upper left is still locked in ice though less now than 10 days ago. In Barents not much has changed. The graph below shows May extent through yesterday, May 28. For the first time the decadal average dropped below 12M km2. 2017 is 300k km2 above average, 400k km2 above 2007 and 1.1M km2 higher than 2016. The graph below shows the Arctic ice extents, excluding the Pacific basins of Bering and Okhotsk. Note how persistent is 2017 ice extent, currently 500k km2 above both 2007 and the decadal average, and 1M km2 above last year at this date. The table below shows regional extents for 2017 compared to decadal average and to 2007 on day 148. Note the strong surpluses of ice in Kara, Barents, Greenland Sea and Baffin Bay. Note also that Bering is nearly ice free, and is having some influence on nearby Chukchi. The two Pacific basins of Bering and Okhotsk now have 136k km2 combined at day 148, which matches where the decadal average will be in 13 days on day 161. Finally, the image below shows Svalbard comparing 2017 with last year on day 148. AER provides some insight into these developments along with a forecast in the May 22 posting. As I discussed in my previous blog, one constant over the past decade has been the collapse of NH snow cover extent in spring, especially late spring. The rapid disappearance of snow cover across northern Eurasia and northern North America contributes to drying of the soil and warmer temperatures. The resultant warmer temperatures also likely contribute to Arctic sea ice loss. Snow cover this spring has been more resilient to melt than in previous recent springs. More snow cover results in moister soils. Moister soils result in cooler temperatures. Snow cover and snow mass continue to be relatively high across the NH helped by in part by below normal temperatures in key regions. However the snow cover has been more resilient in Eurasia relative to North America and snow cover across North America experienced a rapid decline over the past week. 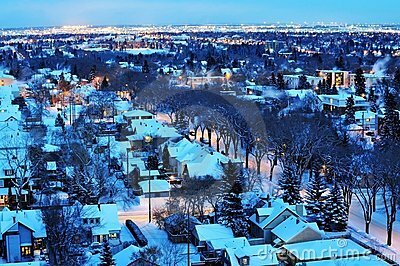 And with more warm temperatures predicted across Northern Canada, the rapid decline in snow cover will likely continue. The AO is currently neutral (Figure 1), reflective of mixed geopotential height anomalies across the Arctic and mixed geopotential height anomalies across the mid-latitudes of the NH (Figure 2). Geopotential height anomalies are positive near Greenland and Iceland (Figure 2), and therefore the NAO is negative. The AO is predicted to remain neutral to positive next week as neutral to negative geopotential height anomalies dominate much of the Arctic (Figure 5a). And with neutral to negative geopotential height anomalies stretching from Greenland to Iceland, the NAO will likely trend positive back into positive territory as well. OK, I know the saying was Ides of March, and it was a warning to Julius Caesar, forecasting his betrayal in the midst of Roman senators. The phrase came to mind as Trump the American Caesar returned to his capital pondering what to do about the Trojan Horse offered from Paris. Will his senators have his back or are they packing knives? A declaration from 40 of them makes it seem that they are prepared to confront the Paris Treaty and end its and everyone’s misery. Lost in all the politics, posturing and shaming is any awareness that this decades-long effort to mitigate warming by reducing fossil fuel emissions is itself a problem. The Société de Calcul Mathématique said in 2015: The battle against global warming: an absurd, costly and pointless crusade. The title is a link to the data, facts and information supporting their conclusion. Beyond being costly and useless, the IPCC policies are directed at increasing energy poverty by eliminating the very sources that have raised the modern standard of living. And as numerous studies have shown, poverty and environmental degradation go hand in hand. When people can cook and heat themselves with fossil fuels, they don’t turn forests into firewood. Wealthier societies take much better care of their natural surroundings. The UN Environmental program bet the farm on the global warming issue, thinking it to be a silver bullet to unplug industrial society and bring back pristine nature. The whole thing wastes time, talent and resources leaving real pressing environmental concerns unaddressed. It is the wrong path, the wrong program, and it will make matters worse if it isn’t stopped here and now. 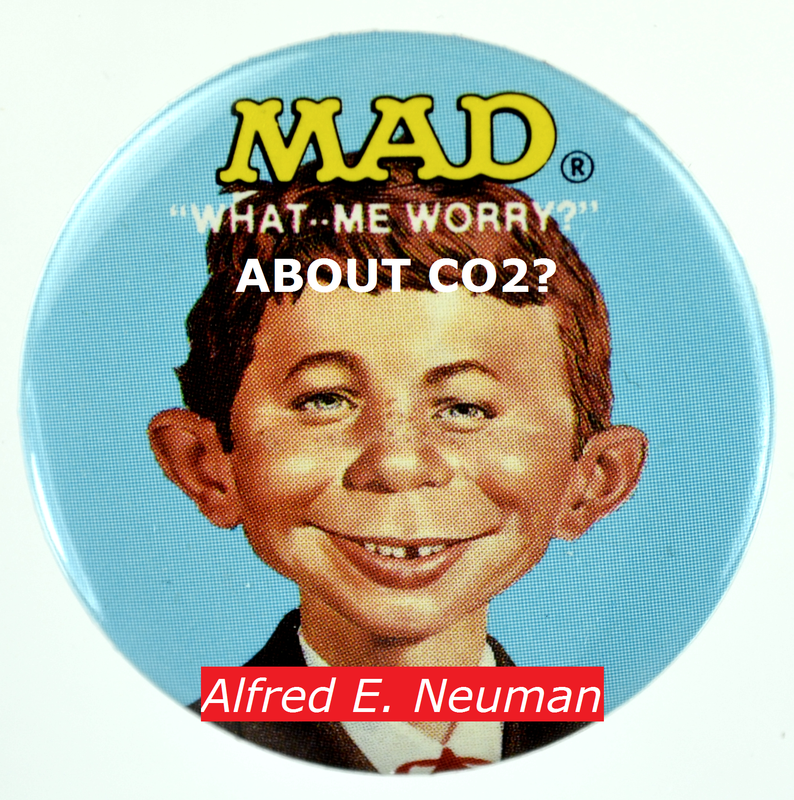 We should all know what Alfred E. Neuman knows, namely: Where does all that CO2 come from? Here is the answer from engineer Ronald Voisin. Figure 3 outlines the primary sources of natural CO2 release in decreasing order of quantity of carbon emitted: oceanic release, microbial decay, insect activity, frozen terrestrial release; volcanic release; forest fire and then mammalia exhalations and emissions – summing to a total of ~325-485 petagrams (PgC). Then there is our ~2.0% anthropogenic release at ~8-9 petagrams. (Based on terrestrial sources alone, without oceans, anthropogenic release is ~3-4% of the natural flux. Some argue that the oceans are net absorbers and ignore the oceanic release estimate below. However, according to the hypothesis presented herein the oceans are net emitters as indicated below when warmed by ~0.5C per century). These natural sources all correlate to global temperature (including, at the least, terrestrial volcanism, as recently verified). When the Earth gets warm, for whatever reason, these natural sources all kick-in together to contribute vast quantities of CO2; and to produce the observed habitual atmospheric CO2 spikes upward. Conversely, when the Earth gets cold, for whatever reason, they all go into remission together; naturally and (generally) coherently to produce a consequential reduction in atmospheric CO2. Each spike or dip in CO2 follows temperature with a lag time averaging 800 years, but proportional to the level and magnitude at which the temperature swings take place. It is extraordinarily difficult to imagine that these natural sources are not at play during this current period of warming. They most likely are the primary cause of the currently observed CO2 spike. And yes, we humans, as co-inhabitants of this Earth, are emitting CO2. But so are microbes and insects emitting. And each of them is emitting with ~10 times our current anthropogenic emission. In both cases (microbes and insects) there is every reason to believe that their populations are geometrically exploding in this current highly favorable environment to their existence. 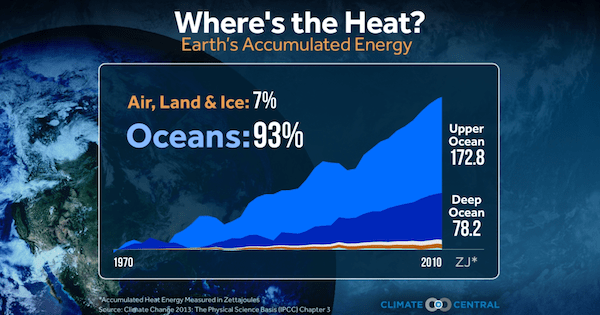 The recently warming oceans are most likely the largest emitter of all. Atmospheric CO2 is spiking just now. And we have good reason to believe that it is largely, essentially entirely doing so for all the same reasons it has done so within each and every prior warming period of the past. All natural sources of CO2 emission are currently revved-up and in high gear during this extended interglacial. Approximately 98% of the current spike is natural while we add our anthropogenic 2%. We also have reason to believe that the current spike would be as large, or larger, than now observed, if we humans were never here at all. Why? Because those organisms that would otherwise be here in our stead would most likely emit much more CO2 than we are. i.e. We humans have chosen to systematically limit the proliferation of micro-organisms and insects in the land we use for cultivation and occupation – which represents about 1/3rd of all land. And in the other 2/3rds of all land, microbes and insects are each estimated to emit ~10 times our anthropogenic emission (insects alone outnumber humans >>10,000,000,000:1 – enough to fill several large dumpsters per person). The relative contribution from microbe and insect emissions would have gone up significantly if we were never here (by a very rough factor of up to 1.5*). They would have filled our void geometrically; unlike our anthropogenic contribution. When we humans get rich, we uniquely self-limit our proliferation, by deciding to have fewer children. And our human emission pales in comparison to the emission from these astronomically vast numbers of other organisms. So if we were never here, greatly enhanced populations of microbes and insects would be emitting many times our anthropogenic emission from the very land that we systematically exclude them from. This situation most likely characterizes the events within prior interglacials. Ronald D Voisin is a retired engineer. He spent 27 years in the Semiconductor Lithography Equipment industry mostly in California’s Silicon Valley. Since retiring, he has made a hobby of studying climate change for the last 7 years. Ron received a BSEE degree from the Univ. of Michigan – Ann Arbor in 1978 and has held various management positions at both established equipment companies and start-ups he helped initiate. Ron has authored/co-authored 55 patent applications, 24 of which have issued. Footnote: Voisin’s article was published in 2013, the facts still overlooked and ignored. Robert Kernodle provided this chart recently in a separate comment thread. Those patterns indicate that over millennial time scales, atmospheric CO2 appears as a natural negative feedback to planetary warmer periods. 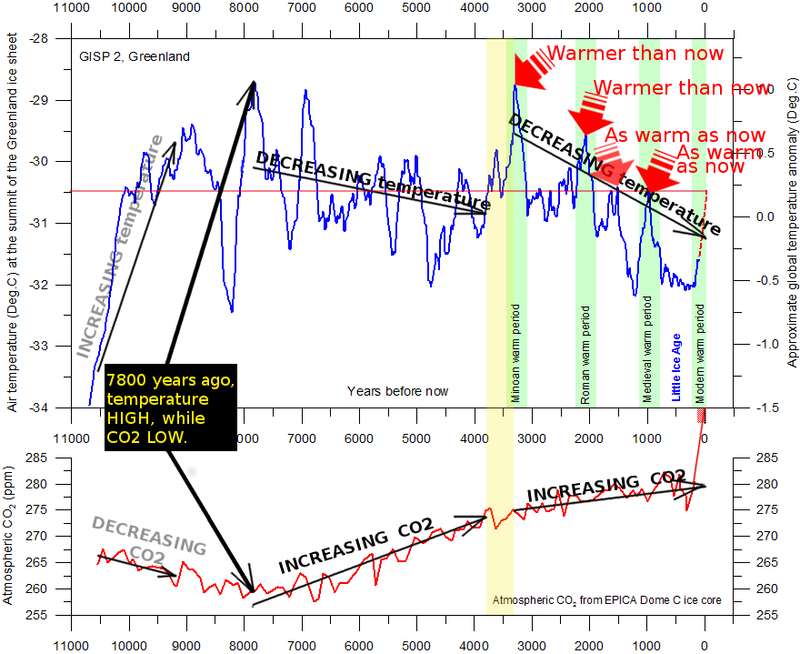 As warming stimulates natural sources, CO2 rises, and after many centuries of delay, temperatures cool down. Ironically, scientists in the 1950s and 60s who raised concerns about a coming ice age maybe had a truer sense of how CO2 is related to climate. Of course, even then they exaggerated the effect of humanity’s 2% contribution, overemphasized decadal fluctuations and mistook CO2 as the cause rather than the effect of warming periods. April Sea Surface Temperatures are now available, and we can see a pause in the downward trajectory over the previous 13 months. 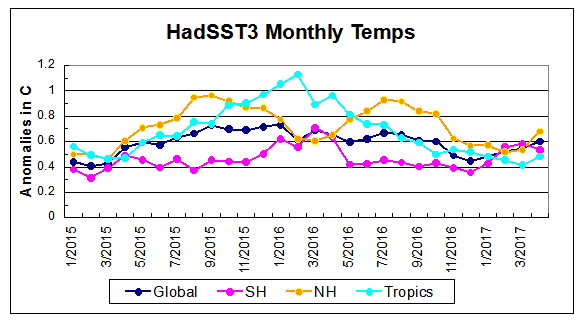 The chart below shows the last two years of SST monthly anomalies as reported in HadSST3 including April 2017. In April 2017, the SH appears to be entering its cooler phase, while both the tropics and NH ticked upward from March, causing the Global anomaly to rise for the fourth month in a row. The downward momentum has stopped, except now the SH (mostly ocean) has started down from a lower peak than a year ago. It was the SH that was pulling up the Global average the previous three months. The Tropics and NH may or may not start a new warming cycle, depending upon the appearance of El Nino. Note that higher temps in 2015 and 2016 were first of all due to a sharp rise in Tropical SST, beginning in March 2015, peaking in January 2016, and steadily declining back to its beginning level. Secondly, the Northern Hemisphere added two bumps on the shoulders of Tropical warming, with peaks in August of each year. Also, note that the global release of heat was not dramatic, due to the Southern Hemisphere offsetting the Northern one. Satellite measures of the air over the oceans give a similar result. 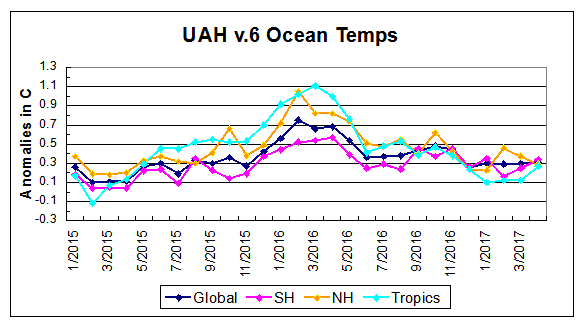 The graph below provides UAH vs.6 TLT (lower troposphere temps) over the oceans confirming the impression from SSTs. Once again it is the Tropical and NH oceans that drove the warming that peaked a year ago. 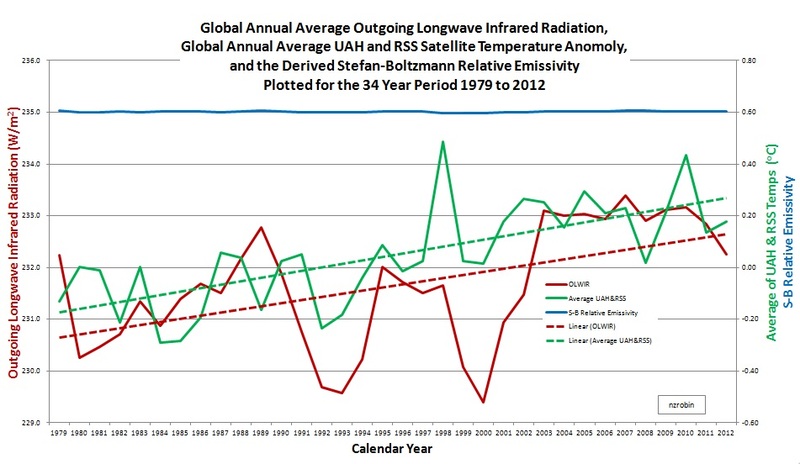 SH moderated the Global averages, though the air temps over the oceans are more synchronized than is the case with SSTs. Note how in April all anomalies converged on 0.3C. We have seen lots of claims about the temperature records for 2016 and 2015 proving dangerous man made warming. At least one senator stated that in a confirmation hearing. Yet HadSST3 data for the last two years show how obvious is the ocean’s governing of global average temperatures. Solar energy accumulates massively in the ocean and is variably released during circulation events. Every intervention has consequences by which its success is measured. 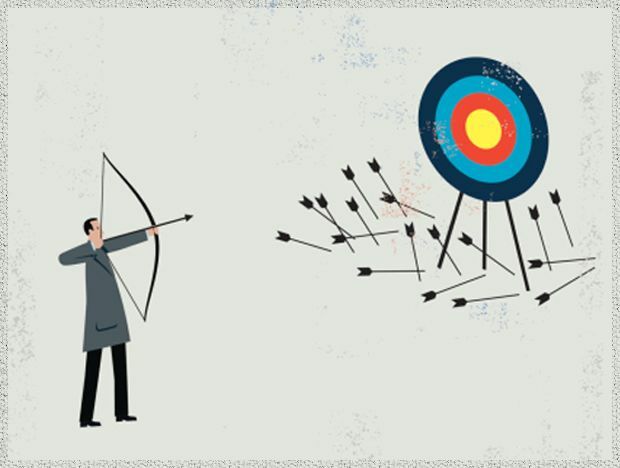 Effectiveness regards the quality of outcomes: Good things happened, Nothing happened, or Bad things happened. Of course, it may be a mixed bag in which the net must be weighed. In addition, efficiency is considered (“evidence-based” in today’s jargon): It was worth it, It was not worth it, or It was worse than doing nothing. Both attainment of intended consequences, and collateral, unintended damages bear on the judgment. It must indeed seem strange that someone would wonder about the effects of the policies now proposed to reduce greenhouse gas emissions as though the policies themselves are the threat. And yet they are. I am not here to address the issue of how much human-related greenhouse gas emissions are contributing to increased concentrations of carbon dioxide in the atmosphere nor on the sensitivity of global temperatures and climate to the increases in those concentrations over time. There are others here far more qualified than I to discuss that. Instead, I want to discuss the policy and program measures that the people of Canada and other countries, especially in the industrialized world, are being urged to adopt and what will be the implications of those policies and programs. the rest of the world demands and uses. The article goes into the history of how we all, including Canada got to this point. Then comes this. Ladies and gentlemen, these commitments are just the beginning, the mere “foot in the door” for the more radical demands that lie ahead. We are still bound in principle to reduce Canadian GHG emissions by 50% from 2005 levels by 2050. The U.N still wants us to “show leadership” by reducing emissions by 80% from 2010 levels by 2050. A number of environmental groups in Canada and other countries have recently endorsed the Wind, Water and Sunlight, or WWS, vision. This vision seeks completely to eliminate the use of all fossils fuels – coal, oil, and natural gas – in the world by 2050. The New Democratic Party’s LEAP Manifesto endorses this vision, as does the Green Party and most of Canada’s influential environmental organizations. The government of Ontario also has formally committed the province to this vision. So have a number of large Canadian municipal governments. generation and then for the capital costs of the backup thermal plants. Which benefits would be achieved by incurring such costs? Despite all the rhetoric about reducing world carbon dioxide emissions from fuel combustion and gas flaring, according to the U.S. Carbon dioxide information analysis center, they rose steadily from 16.6 Gigatonnes carbon dioxide equivalent in 1973 to 34.1 Gigatonnes in 2014. So, they more than doubled over that timeframe. Importantly, though, the origins of the emissions changed significantly. In 1973, the countries of the organization for economic cooperation and development, or OECD, accounted for two-thirds of global CO2 emissions from fuel combustion; by 2014, the OECD share had declined to just over a third. 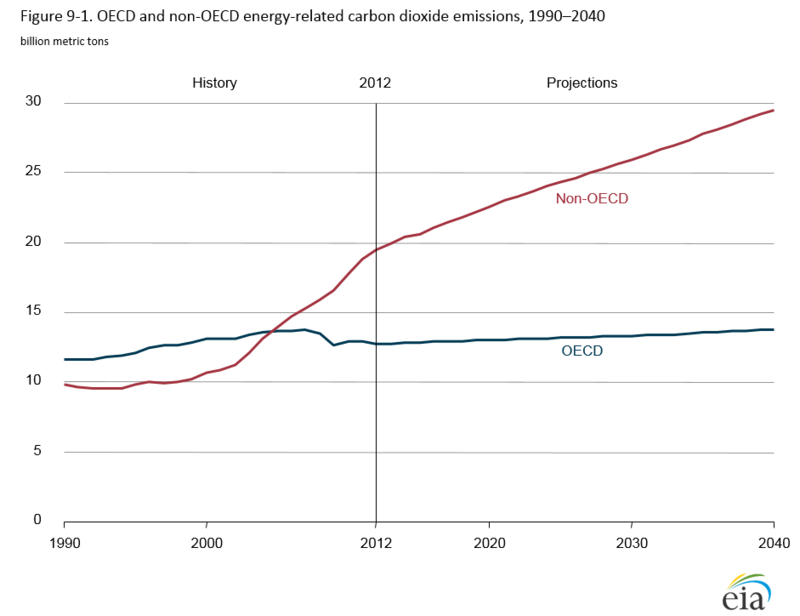 So all, or almost all, of the emissions growth occurred outside of the OECD. So, we have two sharply different perspectives of the future, the EIA’s projections of what probably will happen and the aspirations of the U.N. and many environmental groups as to what in their view should happen. Reducing emissions by 50% by 2050 to meet the U.N.’s vision would mean a global total of about 16 Gigatonnes, in contrast to the EIA’s projection of 43 Gigatonnes (Gt). The OECD countries – the United States, Canada, most of Europe, Japan, Australia and others – could eliminate 100% of their projected emissions of 14 Gt, and the world would still be over its target by 13 Gt. There is not in Canada a comprehensive list of the measures that have been implemented by all orders of government to reduce greenhouse gas emissions. They have been increasing in number, reach and cost since 1988. I counted 37 different generic types of measures now in use. Large bureaucracies exist to design, implement, and (less frequently) evaluate these measures. They stretch like the tentacles of some vast octopus across every aspect of the Canadian economy and touch everyone’s life. As no one has ever established an inventory of the measures now in place or of those under consideration, no one knows how much these measures already cost Canadians. 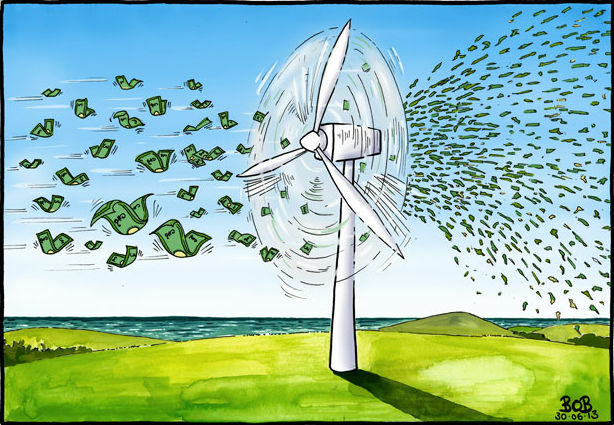 Two things are certain – they cost billions of dollars annually, and they are not going away soon, regardless of the taxes imposed on carbon. I might add a third certainty, which is that the government will continue to develop and implement more and more programs and regulations as time goes on. Let me remind you of the conclusions reached by the federal government’s own monitor of program effectiveness, the Commissioner of the Environment and Sustainable Development. Starting in 1998, the commissioner began to critique the government’s approach to managing emission reduction measures. In the seven reports that followed, there were five consistent themes. First, the government has not created effective governance structures for managing climate change activities. In fact, there have been weaknesses in horizontal governance across departments, accountability and coordination. Second, there has been, and remains, no overall implementation plan. The government has produced no estimate of the emission reductions expected from each sector. Without an implementation plan, industry, consumers and other levels of government lack a solid basis for knowing how to apply technology or make investment decisions. Third, as a result, Canada cannot determine whether the targets for emissions reduction already announced will be met or how much it will cost to do so. Fourth, there are few mechanisms in place to measure the performance of the emission-reduction measures that have been implemented so far. Fifth, the federal and provincial governments do poorly in coordinating their approaches to emissions reduction. I agree that we need an honest dialogue about climate change mitigation. It should start with the recognition that governments to date have publicly embraced emission reduction targets that are unachievable with present technology and at acceptable economic costs. We should acknowledge that we as a society have multiple goals of which environmental quality, however important one might think it is, represents only one. If we value our prosperity and unity as a federal, geographically diverse country, we must approach the climate change issue with a respect for all our collective goals. Much of Canada’s current political elite favours the pursuit of international goals over the steadfast promotion of the Canadian interest, whether on issues of trade, security or the environment. Never before, however, have we faced a situation in which commitment to an international objective may well impose enormous and divisive costs on Canada for no discernable global environmental benefit. Climate change thus offers a clear dichotomy between the Canadian national interest and the global environmental agenda. Canadian inflation spiked to its highest rate in more than two years in January, as new carbon taxes in Alberta and Ontario fuelled a surge in gasoline prices. Statistics Canada reported that the consumer price index was up 2.1 per cent year over year in January, the fastest pace since October, 2014, and up sharply from 1.5 per cent in December. It said gasoline prices were up 20.6 per cent from a year earlier, the biggest increase since September, 2011. The increase reflected the introduction of a carbon tax in Alberta and a cap-and-trade carbon pricing system in Ontario, both of which came into effect on Jan. 1, as well as higher crude-oil prices, which lifted fuel costs nationwide. Transportation costs rose 4.2% over the 12-month period ending in April, after increasing 4.6% in March. This deceleration was led by the purchase of passenger vehicles index, which rose less on a year-over-year basis in April than in March. Gasoline prices posted a 15.9% year-over-year increase in April, slightly larger than the 15.2% rise registered in March. The oil and gas extraction industry reported an operating loss of $2.2 billion in the fourth quarter, down from the $3.3 billion loss in the third quarter. This was the eighth consecutive quarterly loss for the oil and gas extraction industry. In typical governing fashion, the Liberals are trying to downplay the devastating economic consequences of the tax. They’re trying to disguise the very fact that this is a tax hike. 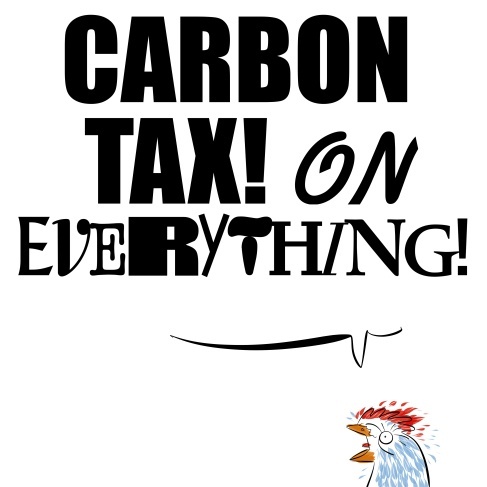 It’s not a carbon tax, it’s a “behaviour-changing measure,” said one government official. His plan will force the provinces to tax each tonne of carbon emitted, as well as to hike taxes on gasoline by at least 11 cents per litre. Keep in mind that taxes on gasoline already make up 36% of the existing price at the pump. That isn’t enough for our tax-hungry government, so they want to impose a 25% tax hike on fuel. The whole scheme is designed to subsidize so-called clean energy. Next to the world’s biggest emitters, we’re an environmental marvel. Despite being an advanced and developed country, and having some of the world’s largest proven oil reserves, Canada only makes up 1.6% of global emissions. Any reductions in Canadian emissions caused by the Trudeau tax grab will immediately be erased by China’s booming coal industry and its refusal to impose the kind of job-killing carbon tax schemes being sold by the Trudeau Liberals. There will be no positive impact on the environment, but the effect on our pocketbook will be concrete and measurable. Figures vary by household and province, but by 2022, it’s estimated the average Canadian family will face a carbon tax bill of about $2,500 per year. In May Arctic ice continues to be more extensive than recently. As previously reported, central and Atlantic sea ice is above decadal averages. The image below shows surprising growth since day 120 (April 30), with a pause the last few days. Things are different on the Pacific side where Bering in particular has melted ahead of schedule, and now extending in Chukchi sea, inside the actual Arctic basin. The graph below shows how in recent days 2017 NH ice extents have grown above average, even including the exceptionally low amounts of ice in the Pacific, Bering in particular. Note that as of day 138, yesterday, 2017 NH ice was 150k km2 above average, 300k above SII estimates, 550k above 2007 and nearly 800k km2 more than last year. The graph below shows Arctic ice excluding the Pacific seas of Bering and Okhotsk. This provides an even more dramatic view of this years ice extents. Mid April Arctic ice was average, and look what has happened since May began on day 121. There was a drop and a rise, with a current surplus of 450k km2. The table for day 138 shows the regional extents for 2017 compared to averages and 2007. The 300k km2 deficit in Bering and Okhotsk is evident. Also Chukchi is starting to show the effects from early Bering melting. Other seas are above average, with large surpluses in Baffin and Barents sea. Currently positive pressure/geopotential height anomalies are mostly focused on the North Atlantic side of the Arctic with mostly negative pressure/geopotential height anomalies across the mid-latitudes of the Northern Hemisphere (NH). This is resulting in a near record low Arctic Oscillation (AO) and North Atlantic Oscillation (NAO) for May. It might be the second week of May but an unusually strong block/high pressure exists in the northern North Atlantic including Iceland and Greenland and is more commonly associated with winter. The unusually strong block is contributing to not only below normal temperatures to both sides of the North Atlantic, including Europe and the Eastern US but late season snowfall to Southeastern Canada, the Northeastern US and Russia. The negative geopotential height anomalies that have developed both downstream across western Eurasia including Europe and upstream across the Eastern US are predicted to persist for much of the month of May helping to ensure a relatively cool month of May for both Europe and the Eastern US. Do not be mislead by reports of declining sea ice in the Arctic; it is a distraction based on early melting in the Pacific, especially Bering sea. The Curious Case of Benjamin Button relates the story of a fictional character who is estranged from the rest of humanity because of a unique personal quality. He alone was born an old man, grew younger as he aged, before dying as an infant. Living in contradiction to all others, he existed as an alien whose relations were always temporary and strained. Recently I had an interchange with a climatist obsessed with radiation and CO2 as the drivers of climate change. For me it occasioned a look back in time to rediscover how I came to some conclusions about how the atmosphere warms the planet. That process brought up an influencial scientist whose name comes up rarely these days in discussions of global warming/climate change. So I thought a tribute post to be timely. Dr. Ferenc Mark Miskolczi (feh-rent mish-kol-tsi) was not born estranged, but alienation was forced upon him at the peak of his career as a brilliant astrophysicist. Part of his NASA job was to analyze radiosonde data, and his curiosity led him to find a surprising empirical observation. He published it and continues to hold to it, but his findings happen to cause indigestion among the climate establishment, and also to many skeptics. His writings are dense and filled with math, another reason for some to set him aside. Various wavelengths of solar EM radiation penetrate Earth’s atmosphere to various depths. Fortunately for us, all of the high energy X-rays and most UV is filtered out long before it reaches the ground. 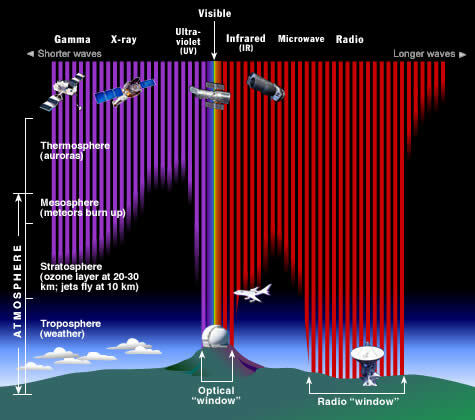 Much of the infrared radiation is also absorbed by our atmosphere far above our heads. Most radio waves do make it to the ground, along with a narrow “window” of IR, UV, and visible light frequencies. Credit: Image courtesy STCI/JHU/NASA. The co-author of the article was his boss at NASA Langley Research Center (Martin Mlynczak). Mlynczak put his name to the paper but did no work on it. He thought that it was an important paper, but only in a technical way. 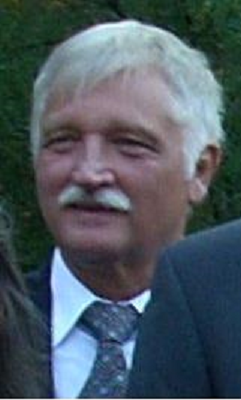 When Miskolczi later informed the group at NASA there that he had more important results, they finally understood the whole story, and tried to withhold Miskolczi’s further material from publication. His boss for example, sat at Ferenc’s computer, logged in with Ferenc`s password, and canceled a recently submitted paper from a high-reputation journal as if Ferenc had withdrawn it himself. That was the reason that Ferenc finally resigned from his ($US 90,000 /year) job. At the bottom of this post will be links to Miskolczi’s papers, including the latest one in 2014. Perhaps the most accessible introduction to his understanding comes from his interview with Kirk Myers published at Climate Truth. Climate Truth: Has there been global warming? Dr. Miskolczi: No one is denying that global warming has taken place, but it has nothing to do with the greenhouse effect or the burning of fossil fuels. Climate Truth: According to the conventional anthropogenic global warming (AGW) theory, as human-induced CO2 emissions increase, more surface radiation is absorbed by the atmosphere, with part of it re-radiated to the earth’s surface, resulting in global warming. Is that an accurate description of the prevailing theory? Dr. Miskolczi: Yes, this is the classic concept of the greenhouse effect. ClimateTruth: Are man-made CO2 emissions the cause of global warming? Dr. Miskolczi: Apparently not. According to my research, increases in CO2 levels have not increased the global-average absorbing power of the atmosphere. 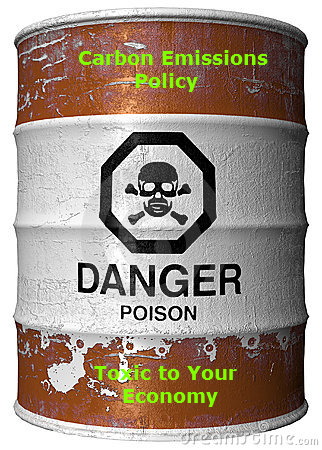 ClimateTruth: Where does the traditional greenhouse theory make its fundamental mistake? Dr. Miskolczi: The conventional greenhouse theory does not consider the newly discovered physical relationships involving infrared radiative fluxes. These relationships pose strong energetic constraints on an equilibrium system. ClimateTruth: Why has this error escaped notice until now? Dr. Miskolczi: Nobody thought that a 100-year-old theory could be wrong. The original greenhouse formula, developed by an astrophysicist, applies only to the stars, not to finite, semi-transparent planetary atmospheres. New equations had to be formulated. ClimateTruth: According your theory, the greenhouse effect is self-regulating and stabilizes itself in response to rising CO2 levels. You identified (perhaps discovered) a “greenhouse constant” that keeps the greenhouse effect in equilibrium. Is that a fair assessment of your theory? Dr. Miskolczi: Yes. Our atmosphere, with its infinite degree of freedom, is able to maintain its global average infrared absorption at an optimal level. In technical terms, this “greenhouse constant” is the total infrared optical thickness of the atmosphere, and its theoretical value is 1.87. Despite the 30 per cent increase of CO2 in the last 61 years, this value has not changed. The atmosphere is not increasing its absorption power as was predicted by the IPCC. 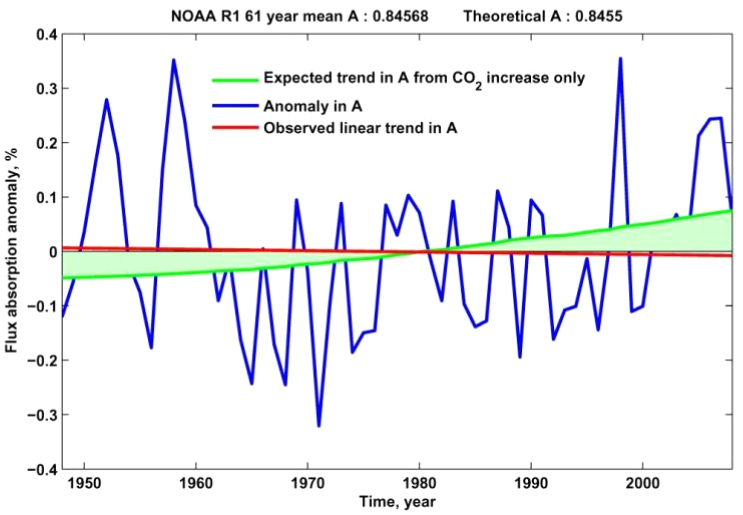 ClimateTruth: You used empirical data, rather than models, to arrive at your conclusion. How was that done? Dr. Miskolczi: The computations are relatively simple. I collected a large number of radiosonde observations from around the globe and computed the global average infrared absorption. I performed these computations using observations from two large, publicly available datasets known as the TIGR2 and NOAA. The computations involved the processing of 300 radiosonde observations, using a state-of-the-art, line-by-line radiative transfer code. In both datasets, the global average infrared optical thickness turned out to be 1.87, agreeing with theoretical expectations. Fig. 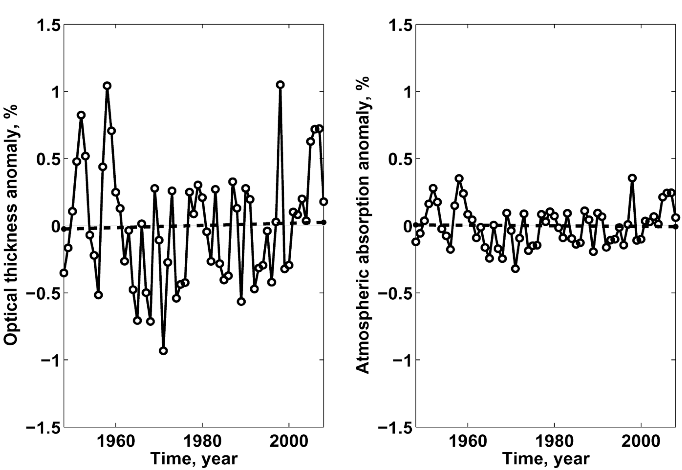 15 the actual and expected atmospheric absorption trends are compared for the full time period. No change in the IR absorption is detected. ClimateTruth: Have your mathematical equations been challenged or disproved? ClimateTruth: If your theory stands up to scientific scrutiny, it would collapse the CO2 global warming doctrine and render meaningless its predictions of climate catastrophe. Given its significance, why has your theory been met with silence and, in some instances, dismissal and derision? Dr. Miskolczi: I can only guess. First of all, nobody likes to admit mistakes. Second, somebody has to explain to the taxpayers why millions of dollars were spent on AGW research. 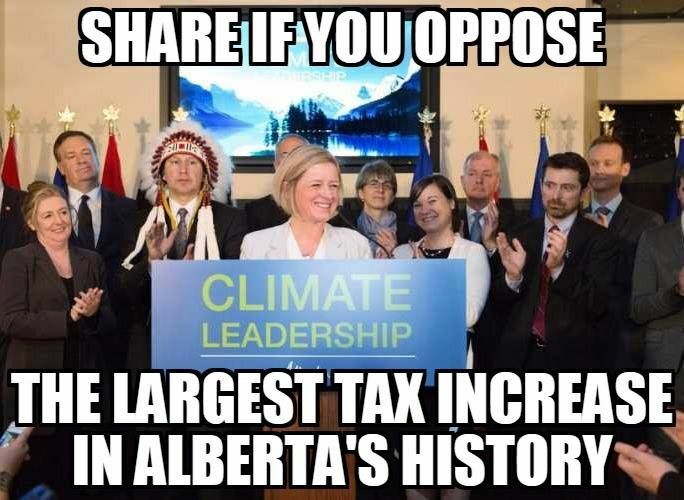 Third, some people are making a lot of money from the carbon trade and energy taxes. ClimateTruth: A huge industry has arisen out of the study and prevention of man-made global warming. Has the world been fooled? Dr. Miskolczi: Thanks to censored science and the complicity of the mainstream media, yes, totally. Others have referred to Miskolczi’s work as finding a saturated greenhouse effect (not his terminology). Most people agree that gases have a logarithmic relation to IR absorption. Thus the effect of adding CO2, or H2O to the atmosphere has diminishing impact, like putting on another coat of paint. Miskolczi’s analysis shows that at present CO2 concentrations, the radiative warming effect is saturated, because the atmospheric heat engine is always striving to maximize the dissipation of surface heat into space. In the present circumstance, any additional input of heat produces a reaction of additional evaporation or convection to restore the energy balance. Radiative equilibrium is not disturbed, as shown by the stability of the optical depth in the upper troposphere. This graph shows that the relative humidity has been dropping, especially at higher elevations allowing more heat to escape to space. The curve labelled 300 mb is at about 9 km altitude, which is in the middle of the predicted (but missing) tropical troposphere hot-spot. This is the critical elevation as this is where radiation can start to escape without being recaptured. The average annual relative humidity at this altitude has declined by 21.5% from 1948 to 2007. Above the surface-air boundary, heat exchanges between layers of air do include radiative activity, and at the TOA it is all radiation into space. The climate system makes regulatory adjustment to compensate for changes in CO2 with changes in humidity and clouds, in order to most efficiently convert short wave incoming solar energy, into long wave outgoing energy. With warming and cooling periods, the proportions of H20 and CO2 at the TOA have fluctuated, but the combined optical depth has been stable over the last 60 years. Credit: Image courtesy NASA’s ERBE (Earth Radiation Budget Experiment) program. No wonder so much effort is going into a better understanding of cloud effects on climate. Note in the above estimated energy budget diagram that convection and latent heat combined are twice the estimated surface radiation absorbed in the air. Note also that the air absorbs more energy directly from the sun than it absorbs from the surface. Bear in mind that water vapor does more than 90% of all IR activity by gases. And note that clouds are composed of water droplets (liquid state), and IR activity by clouds (likely underestimated here) is on top of water’s thermal effect as a gas. Miskolczi’s story reads like a book. Looking at a series of differential equations for the greenhouse effect, he noticed the solution — originally done in 1922 by Arthur Milne, but still used by climate researchers today — ignored boundary conditions by assuming an “infinitely thick” atmosphere. Similar assumptions are common when solving differential equations; they simplify the calculations and often result in a result that still very closely matches reality. But not always. So Miskolczi re-derived the solution, this time using the proper boundary conditions for an atmosphere that is not infinite. His result included a new term, which acts as a negative feedback to counter the positive forcing. At low levels, the new term means a small difference … but as greenhouse gases rise, the negative feedback predominates, forcing values back down. NASA refused to release the results. Miskolczi believes their motivation is simple. “Money”, he tells DailyTech. 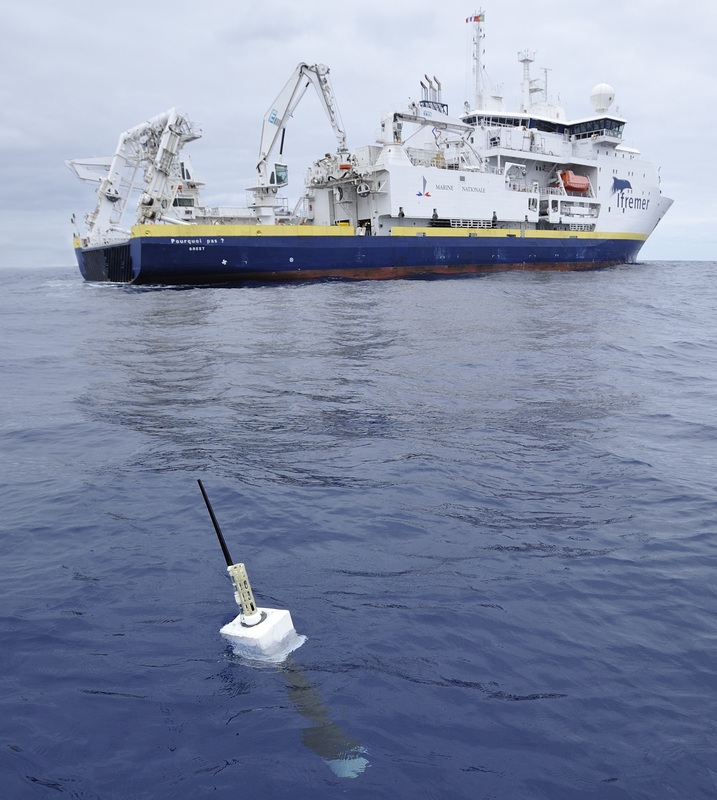 Research that contradicts the view of an impending crisis jeopardizes funding, not only for his own atmosphere-monitoring project, but all climate-change research. His theory was eventually published in a peer-reviewed scientific journal in his home country of Hungary. Something surprising is happening with Arctic ice. It is May and ice should be melting, but instead it is growing and in the unlikely place of Barents Sea. The images above show the ice positions since April, and you can see on the left how ice refused to leave Newfoundland, and on the right how Barents is not backing down but increasing. The graph below shows how in recent days 2017 NH ice extents have grown way above average, even including the exceptionally low amounts of ice in the Pacific, Bering in particular. Much of the growth is due to Barents adding 85k m2 in the last 5 days to reach 572k km2, an extent last seen two weeks ago. The graph below shows Arctic ice excluding the Pacific seas of Bering and Okhotsk. This provides an even more dramatic view of this years ice extents. Mid April Arctic ice was average, and look what has happened since May began on day 121.